Photograph of young boy identified on reverse as little James Fleck. The photograph was taken by an Altoona, Pennsylvania studio. 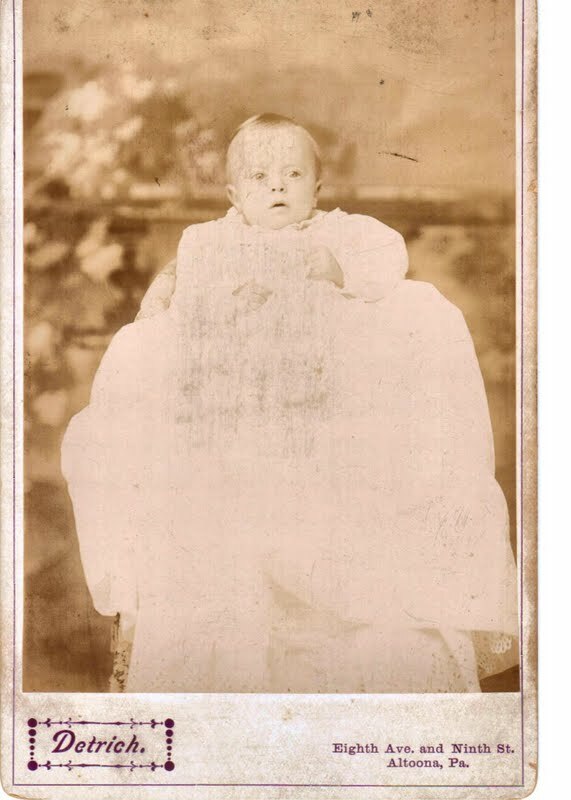 Flash: March 28, 2011 - a reader has forwarded another image of James, dated 1897, where he is identified as James Fleck, Jr. 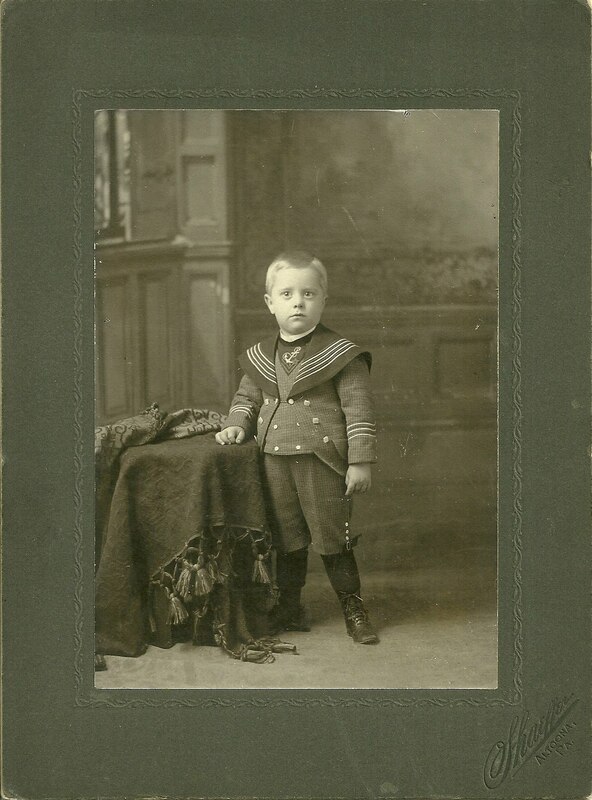 This extra photo would seem to underscore that this James Fleck was the son of James and Jennie Fleck. Thank you! James Fleck Jr. was born December 1896 in Pennsylvania, the son of James and Jennie (maiden name unknown) Fleck. James Sr. was born March 1859 in Pennsylania. Jennie was born November 1857 in Pennsylvania. They had at least six children, the last of whom appears to the young James in the photo.